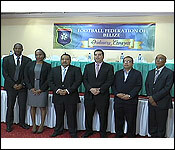 Sergio Chuc has been elected, along with running mate Cruz Gamez to the presidency and vice presidency of the Football Federation of Belize during the ordinary congress held at the Princess Hotel. 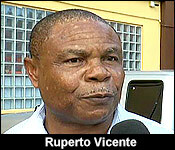 He officially succeeds Ruperto Vicente, whom he tried to oust as deputy last year. His term is for three years. Marlon Kuylen acted in the role after the May 2016 election resulted in deadlock after 20 rounds. One year and 7 months, that's how long the administration of football in Belize had been in a holding pattern. 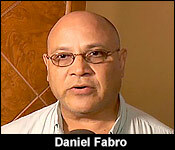 The last attempt at an election for president went for 14 hours, and at the end, the 20 delegates from the Congress of the Football Federation of Belize remained in a record breaking deadlock, unable to pick a new president between the then incumbent president, Ruperto Vicente, and his former Senior Vice President, Sergio Chuc. That forced Marlon Kuylen, the Senior Vice President Elect, to step in and run the FFB as the Acting President for more than a year and a half. 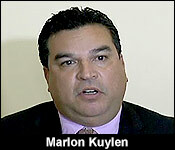 Kuylen struggled make the serious changes he felt were necessary to move football ahead in Belize. And last month, he wrote an extended and scathing review of the FFB's current state of affairs. So, this weekend's elections were important for the restoration of some stability within the executive. After months of waiting, and 2 failed congresses, 4 candidates emerged to contest the presidency of the FFB. Those were the two deadlocked candidates, Ruperto Vicente and Sergio Chuc, along with Onan McLean and the outsider, Daniel Fabro. For the post of Vice President, the candidates for this Saturday's elections were Cruz Gamez; David Griffith; Carlos Galvez; and Frank Sharp, another outsider who was allied with Daniel Fabro. On Saturday afternoon, for the first time in over a year and a half, the Football Federation of Belize had all the seats on its executive filled. In less than 3 hours, the elections for president and vice president was over - much shorter than the least election which went for 11 hours and ended in a tie. 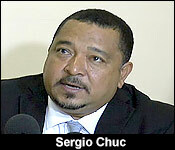 The new president, Sergio Chuc, defeated his opponents handily, getting 14 votes out of the maximum of 20. Shortly after that, Cruz Gamez, was chosen as the new vice president. 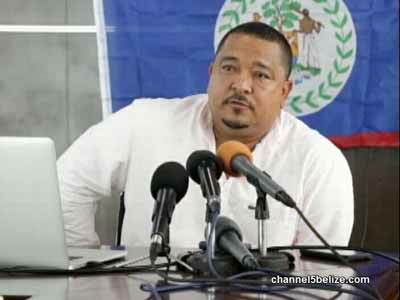 Chuc, who was disqualified from running for the presidency, surged on in the face of opposition and is now the highest football official in Belize. "My candidacy, I must disagree - had never been rocky." "I knew from the very onset, that there were only 20 delegates, 20 votes, and that was my focus. Now, I overcame that hurdle, handsomely by the way, now I will do the media rounds, and unite the football family, unite everybody in Belize behind football." Chuc and Gamez join the rest of the executive, Senior Vice President Marlon Kuylen, and Executive members Darlene Vernon, and Shane Moody Orio. Chuc, Kuylen and Gamez stand among this new executive as the only remaining incumbents from the last administration. Their former FFB boss, past president Ruperto Vicente, who is usually very friendly with the press, exited the Congress venue without granting any interviews. He got only 2 votes in this election. Chuc, Kuylen and Gamez had come very far from March of last year when they tried to suspend Vicente from the office of the President. They strongly opposed his management style, and with this election result, they are now in the ones in the driver's seat. They get to steer football in Belize in the direction they see fit. "I am here to work for the development of football. If you put in your work, then the election automatically takes care of itself. But, if you are focusing on how to keep the position then I think you are missing the boat. And sadly, I believe that our last 2 presidents were more focusing on keeping their post, rather than seeing football move ahead." "We weren't confident that he was leading us in the direction that Belize needed to go, and therefore, we formed our slate and we ran against him." "This is a victory for us, but I think it is a victory for the entire football community, for our children, for the players, for everyone." So, does the new FFB president see as the priority in local football? "My main focus right now is that there is enough funding, especially FIFA funding out there, for development programs here in Belize that I don't think we have been taking advantage of these monies that are out there. So, I really want to get somebody immediately onboard to start writing to access these funds." Chuc also told us that the turmoil in the executive is over; and he intends to unite the football family under one objective. "There is not much in the aspect of uniting. As you saw the victory, it was 70% of the votes. So, I don't think there is much opposition out there to my presidency. So, the few people that they wanted to be led by another one of the candidates, I think they will come in, and my understanding is that they have the best interest of football. So, I don't see any problem moving ahead." But, make no mistake, Chuc is moving forward, with or without those who may oppose his leadership. "I'm here to work, and whoever wants to work will stay and work. But, most people know about my business approach, and if you don't want to work, then I have absolutely no problem moving ahead without you." And he has an executive that is behind him - at least for now. "Yes, I am willing to work. I'm glad. I am happy that now, we have the full complement of the executive. It's brings stability, and FIFA is happy that this happened today. It went very smoothly." "I want to see youth football progress because it is in youth football that we will see the betterment in the future for Belize." "I am very interested also to see women football be more active in Belize." "I was approached really to assist with bringing the statutes up to date, the PLB regulations to use - because I am an attorney. So, I was more approached to assist in that regard with the legal aspect with the drafting. And that is where I plan to continue to pledge my assistance to the new president." "We're here to work as a team, with no personal gains, to move football forward, and I believe that each and every one of us have a wonderful chance, a wonderful opportunity, to leave something for the youths." "We have a lot of raw talent in Belize, and with the support of my executive, who they've all pledged their support, I think Belize has places to go in the very near future." "I could see great things happening for football in Belize, and it won't take us too long. It will be shown in - I'd say - 2 years, you'll start to see the progress." 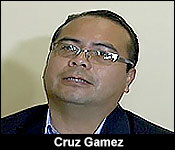 In the race for Vice President, Cruz Gamez defeated his opponents in the second round. He got 14 votes; Carlos Galvez got 4, and Frank Sharp got the remaining 2. "I must say that we are involved in a sports called football and in this sports sometimes we win, sometimes we draw and sometimes we lose. But the times that we lose, because somebody bullied you or played you nasty before the game and during the game and there are also times that we lose when those who make the decisions had been influenced in some way or the other. So you don't get the correct calls. So in this case we lost and I lost, because we are involved in the sports of football and so I would wish them the best. My record speaks for itself." "I have taken Belize to another level, Belizean football to another level. I made the team qualified to the goal cup for the very first time in its history and I took the national team through the 3rd round of world cup qualifiers for the first time in the history of this nation. So my record speaks for itself"
"I would say to these guys put the negative behind you, move forward with football, because our young people, our youth deserve the best development they can get in order to perform at the international level." "Once the new executive starts to review the financial picture of the FFB, is there any decision that you took that you may be worried about, the way they will interpret it? Maybe they might interpret that decision as financially irresponsible. Any...?" "I have no regrets at all. There are no financial mismanagement as some people would think. There is absolutely none and I have no fear of anything, because as far as I am concern, I played the game well, I played the game clean and I managed the affairs of the federation cleanly. If there are somethings that are questionable, of course those things will arise, but it is not to say that there was some kind of mismanagement. No, none at all." "Their position is you became the thing you hated the most. You were so caught up on trying to keep the post of presidency that you lost sight of the objectives you came in in 2012." "That is your opinion and I will not go back and forth on their opinion and will not speak negatively about anybody on the media. All I will say is that football deserve the best and football deserve a president. Now we have a president and it is up to them now, the new executive to prove themselves that they are different than anyone else they are accusing of being someone else." "From the moment I took office in 2012, when the fight started in July of the same year that these guys wanted take control of Belizean football. I spent most of the 4 years despite the success that I had, I spent more time fighting them than focusing on development of football. But now they are there, they don't have anybody to fight them and they don't have anybody to fight. So focus on the development of football. That my message to them." Vicente tells us that he will continue to work for the progress of football, but only as a fan. He says that this weekend's elections are the last he will enter as a candidate. And one other Candidate for President that we didn't get a chance to talk to at this weekend's FFB Congress was newcomer Daniel Fabro. He introduced himself to the public as a fresh-slate candidate back in October, and he tried mightily to win the support of the delegates. "Sergio Chuc won with 14 votes. Onan MCcLean got 4 votes I believe and Ruperto Vicente got 2 votes. I got zero votes. I am happy to have participated in this process of election. 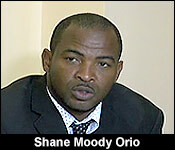 I think Frank Sharp and I have brought to the public the complexities, to put it nicely, of election at the Football Federation of Belize. But it also exposed the hypocrisy of some of these delegates. I think the Belizean public will have to draw their own conclusions on what happened there and hold the 20 delegates accountable for what happened in there. I can only congratulate Mr. Chuc and wish him well and hope that football can move forward in a positive way." "I believe our ideas were the best. I think the Belizean public overwhelm thought our ideas were the best, but is the 20 delegates who decide. They are the ones who I believe are responsible for holding back the football development in Belize." "These are the people who are playing football around the country, organizing football around the country. So those are the people who makes the decision. Because those are the people that head each association and the statutes are very clear. They are one who cast the votes." "It is important for us to have more people involved. The women football league needs to have voted, the referees needs to have a vote in it, the youth development program needs to have a vote in it, footsal as well as beach football needs to have a stake in it as well, so that there be representation from all levels." 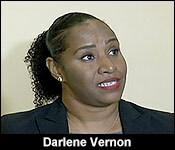 "We may continue to complain that it is only a few that makes the decisions as to who becomes the president or executive members of the Football Federation of Belize. That is how football is govern worldwide. FIFA has 109 members as an organization and from that we may look at millions of people who play football, but only 109 people make the decision as to who becomes the president of FIFA or who becomes executive members."